Community strikes again! Patching times are over! We have joined forces with the best of the best to prepare a single patch for all Magento stores across all editions and versions that will sort out all security issues now and in the future! The patch will be officially released at Developers Paradise conference in late April. Interested? Then read on. 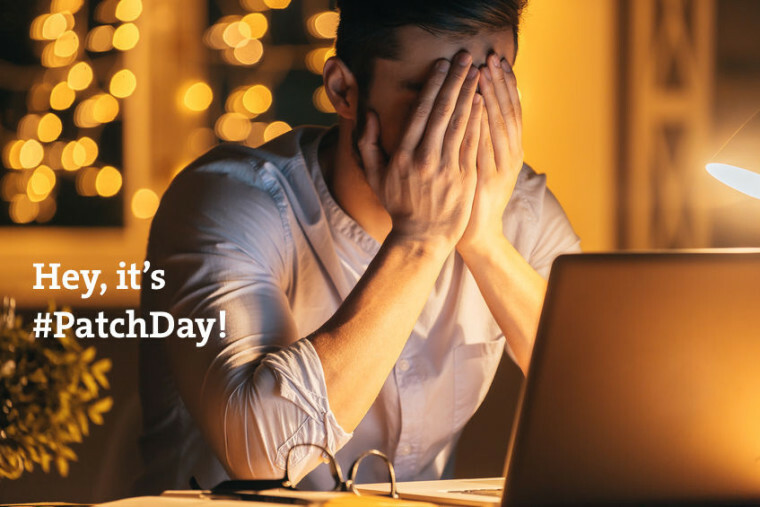 Some of the most frustrating days for many developers are patch release days – yes, we all know how important it is to be on the top of your game and Magento is really paying special attention to keeping their clients safe. We set a clear goal – let’s create The One Patch! A patch so advanced and awesome that would, once applied to a website (Magento or any other) be there to solve all your security concerns in an increasingly insecure world of eCommerce transactions. But could we really make it happen? We consulted various experts in their respective fields to approach this issue with due care and from their angle. We have worked behind the scenes, organized a number of patchathons over the last several months where we prepared a solution that is now being polished. The entire behind the scenes work resulted in an Ultimate Prediction Model for Ecommerce Exploits (UPM-EE) and covers much more than just Magento websites. This UPM-EE model will give us the chance to create single patches for any open source eCommerce platform out there and we are doing just that. So, where do we start? With Magento and Magento 2, of course. The One Patch will see the light of day at Developers Paradise where we will formally announce it and share it with the world. Protects Magento stores from all current and any future security leaks and vulnerabilities. Removes all previously applied patches because – hey, all you need is The One, right? Official release is scheduled for Developers Paradise, Opatija, Croatia – April 25th-28th 2016. Sign up here and don’t miss The One Patch release! What are you waiting for? Keep calm and Patch One! Haha!! April Fools!! Thought it was to good of an idea to be true! I thought we agreed to hold this back until Imagine! Cat’s out of the bag now! In any case, you’re still keeping that other huge thing under wraps for Imagine, right? What if I’m on CE 1.3.2.4?